I've wanted a sleek wall of bookcases in my dining area instead of a console/sideboard, ever since I saw this picture. I saved it on my computer, but I can't find where I originally found it. The recent "fauxdenza" frenzy, originating from Door 16 has got me thinking about possibilities of making something similar happen for myself. What's a fauxdenza? Basically it's a credenza, without legs, that they created out of Ikea furniture. The Brick House improved on the original fauxdenza by adding wood on top... and graciously gave detailed DIY instructions. I had forgotten about the fauxdenza, until one of my daily blog reads, Rachel @ Heart of Light made one recently. 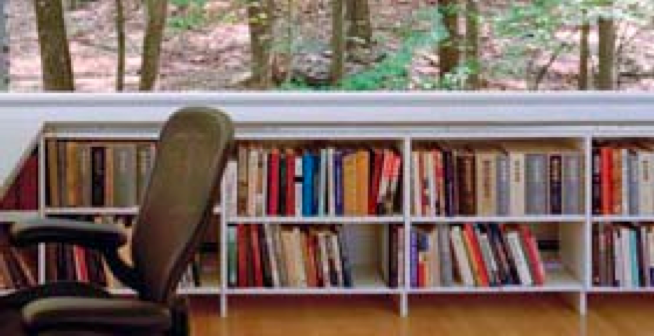 For my bookshelf, I'd like to use Ikea pieces instead of building from scratch like the folks at Yellow Brick House. But, I'd definitely like to add legs unlike the fauxdenzas. Oh hey, here's living proof that you can add legs to Ikea furniture. And obviously, since I'd be using it as a bookshelves, I wouldn't want doors - I love my books and I want them to show. My wall is 94" wide, so 3 of 30"Akurum cabinets are as close as I can get. I think, but I'm not positive, that I can buy it without the doors. Or, I could buy 2 of these Besta, which fit perfectly across, but I wonder if 25.5" is too short. 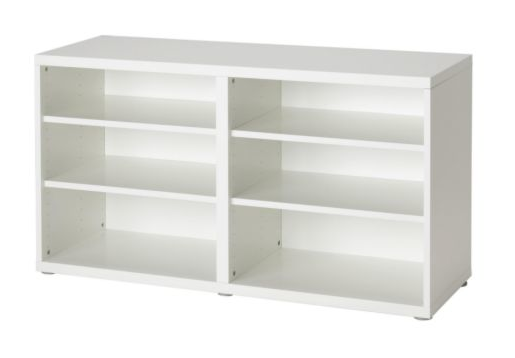 One of the sideboards on Ikea is 27" high and another is 30" high. I would be adding more height with the legs. I really like these (sourced by Yellow Brick House) bc of the brass and the ability to stain them different colors. I'd have to go to Ikea to see things in person and compare prices, but I am learning toward the Besta. Wood across the top? Mirror? Nothing across the top? Plus, maybe I'll make up some money by selling the existing Billy bookcases on Craig's List. I really think this DIY is doable and can be done in a day. Any comments/advice/critiques?